Certain key metrics you need to “watch like a hawk.” Not even a question. However, with other key metrics (otherwise called key performance indicators or KPIs), while you may be “all over them” it’s possible they’re leading you down the garden path! Here’s a sample Dealer Dashboard view from a random RVT.com dealer account. Let’s look and learn. Here are the metrics dealers should watch closely, and some not to worry about (too much) as well. The number of email leads you receive is super easy for a computer system to count up, sort out, track and report on. Email leads and computer systems work together like hand-in-glove. You have other leads as well. How good are you at counting up, tracking and reporting on your phone and walk-in leads? Many dealers have a tough time tracking leads OTHER THAN Internet leads and so, they rely extensively on this metric to infer how their digital advertising, their listings (the market and their businesses) are performing. Automotive market insights leader, IHS / Polk, recently released a huge study that stated – in the auto sector – 67% of all vehicle buyers DO NOT call OR email the dealership – at all. Ever. Rather, for 67% of vehicle buyers, their first point of contact is to walk in. And, in fact, the Study takes it one step further, citing that only 12% of all dealer leads are email leads. So, when you ask: “How many email leads are we getting?” because it is so easy to track, you have to remember that email leads are likely only a tiny portion of your overall leads. And, you must treat the metric accordingly … it is not the “be-all” & “end-all” stat. Good to keep perspective on it. If enabled, this metric tracks how many phone calls were generated. Definitely a good metric to keep an eye on. And, a special note to Sales Managers: With RVT’s Call Source tracking, you can also record incoming calls for later review and accountability purposes – if you choose. Very handy. In-market RV buyers are watching your units! A “watch” indicates 1 buyer watching 1 unit. INSIGHT: If you lower the price of a unit that is being watched by one or more RV shoppers, your “watchers” will receive an email from RVT that lets them know you’ve lowered the price. Also known as pageviews, Listings Views are your chance to shine! A Listing View is what Google calls a “moment.” A buyer is having a “moment” with your unit. Focus is so rare these days. That’s why your listings must be presented in the highest quality fashion possible so you can “win” the “moment” and get that buyer to take action, and become a lead! See our article on creating best selling listings here. 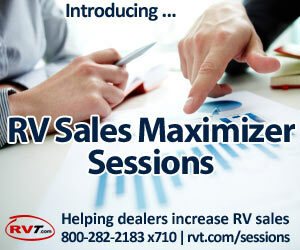 Indicates how many times buyers investigate your dealership and interact with your brand on RVT.com. They probably spotted one unit in particular, and they liked what they saw. Then, they took it to the next level on RVT and looked at more of your inventory as well. Dealer Views is a good stat to watch. These will be the buyers who visit your lot – and somehow mysteriously – seem to know more about your inventory than even your sales reps do! Web Clicks is probably the most misunderstood metric dealers ask about. Naturally, dealers spend a lot of time (and money!) trying to drive traffic to their Websites. And, rightly so. 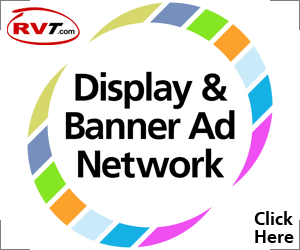 But, the job of your 3rd party lead generation sites (like RVT.com) is primarily to get RV buyer eyes onto your listings – where buyers are more likely to inquire with you and become your lead. If you look at it that way, it’s not necessarily your 3rd party site’s job, to drive traffic to your Website. 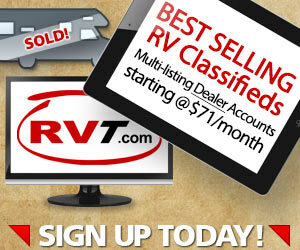 On the contrary, sites like RVT.com exist to show thousands of buyers your inventory – every month. It may not be a huge advantage to you if – when buyers are looking at your listings on RVT – they click away and go to your Website where they have to start searching all over again. Unlike some of the other stats you’re watching closely, a high count in the Web Clicks metric should not be considered that important when measuring the effectiveness of your 3rd party lead generation listing sites.